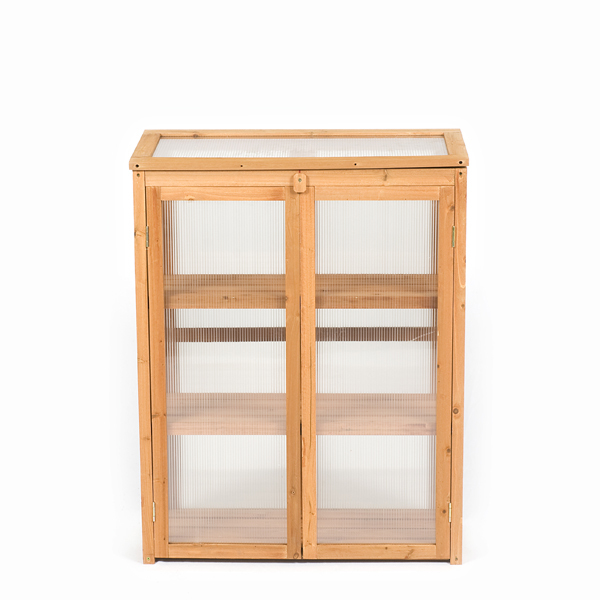 Not only practical, this Terra FSC Fir Greenhouse is also an attractive addition to your garden or patio. 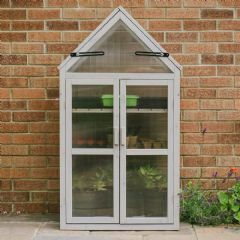 The grow-house is the perfect option if you do not have the space for a freestanding greenhouse. 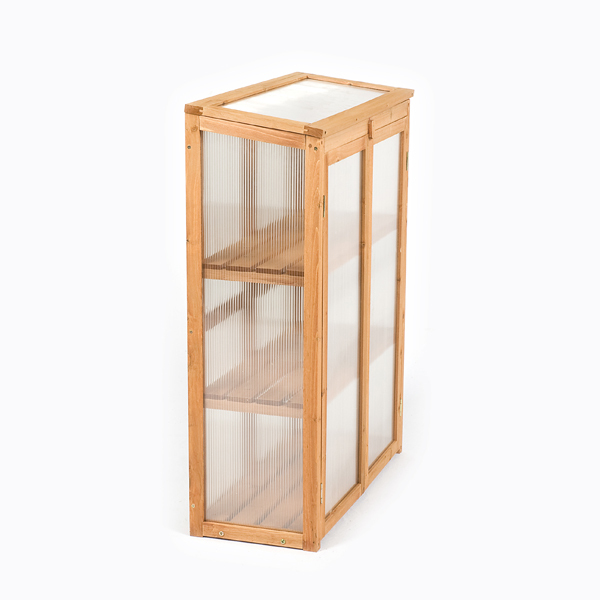 Manufactured from high quality FSC Fir. 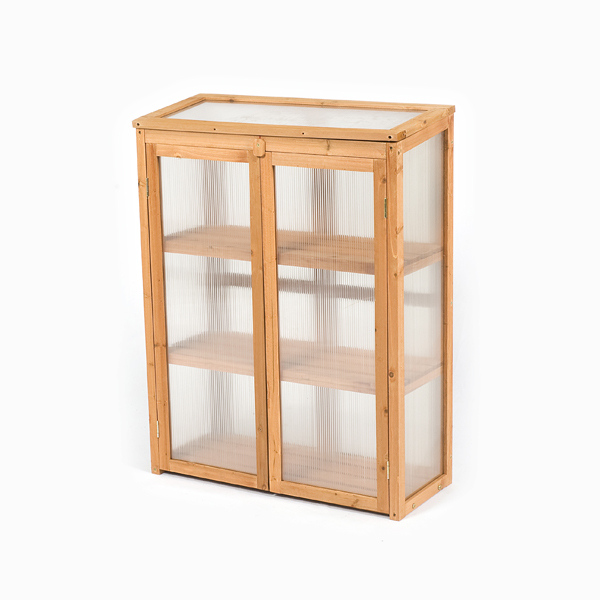 Has a polycarbonate back panel. Does not require to be fixed to a wall. 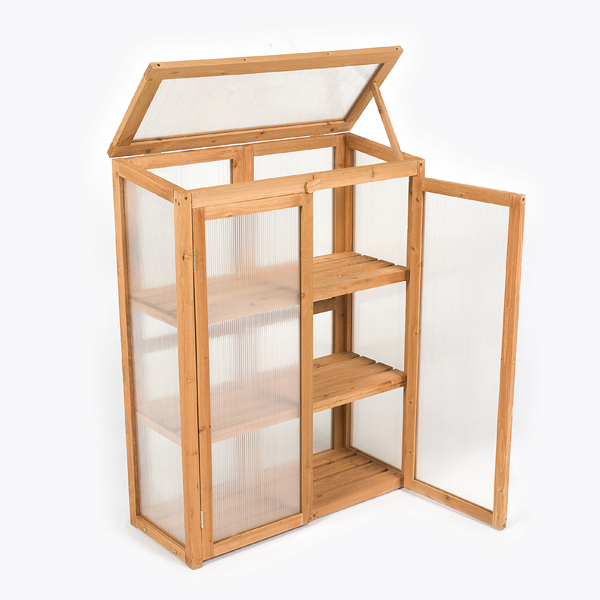 It is excellent for plant protection and improved growth, and with three tiers there is plenty of room for your pride and joys to flourish. 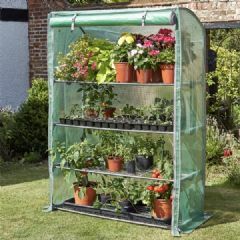 Perfect for perfect for raising seedlings, young plants and over-wintering plants, especially if you have a south-facing wall. 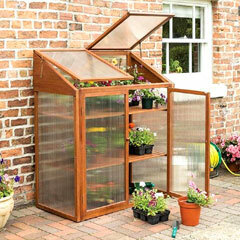 Please Note: All Greenfingers products arrive flat-packed and will require some assembly. 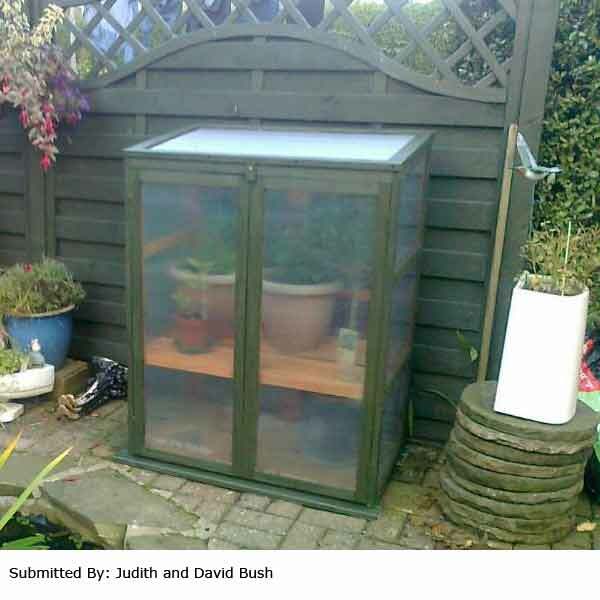 Great mini greenhouse easy to assemble looks good and good price. I am very pleased with the greenhouse. It was easy to put together alone but probably best with two. The top opens as well as the doors. 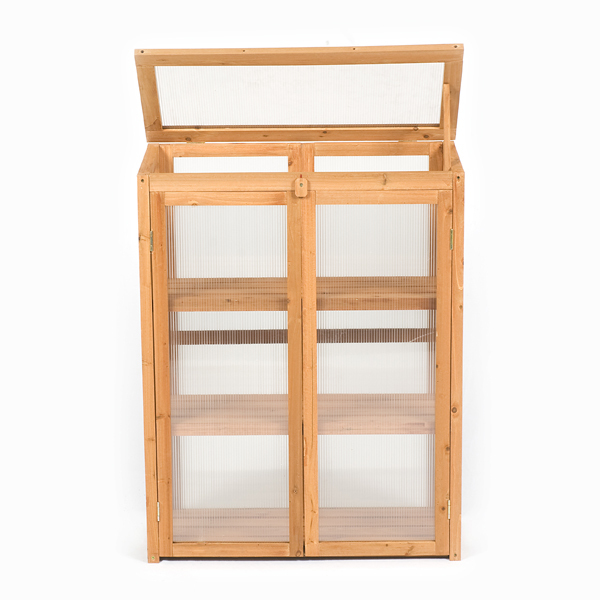 It will hold a number of seed trays and pots. 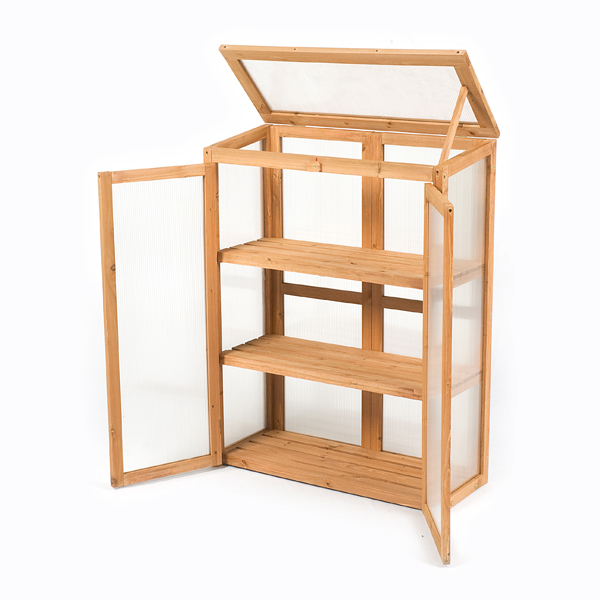 It it is supplied with 3 shelves. I have a small garden yet this fits snugly against the kigtchen wall. Easy to assemble, good value for money. Working well with seedlings and cuttings. Bought this as a birthday present for my wife and was pleasantly surprised with the quality of it. Didn't take long to put together and once built seems very rigid and sturdy, all the pre-drilled holes lined up and squared up nicely. The only downside I can think of is it could do with a better coat of wood protection but in all my wife is very happy with it and I can see another one appearing sooner or later. Decided to buy for Son in Law ,who doesn't like receiving presents, but this one he did. They have moved into a house with a tiny courtyard ,this is ideal. 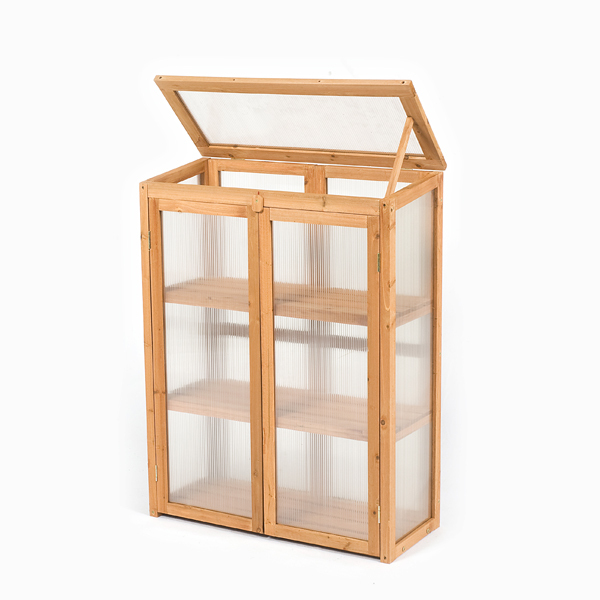 Easy to erect and sturdy ,doesn't take up much room and a good price. 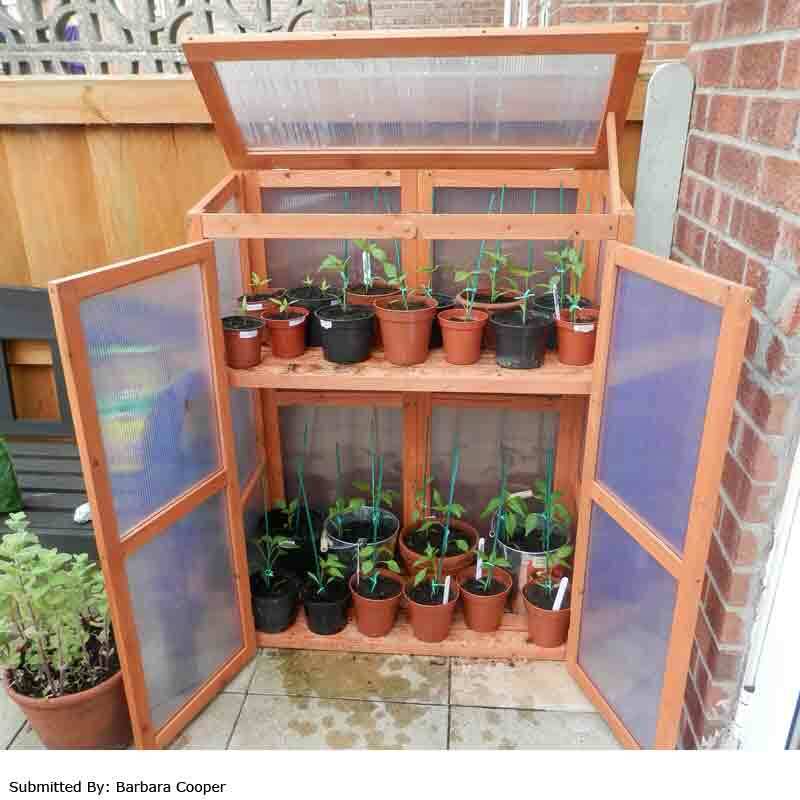 I am very pleased with the mini greenhouse, exactly what I wanted for raising seeds, potting on etc. It wasn't hard to put together but never having assembled anything before, we managed to put the back panel on inside out so had to disassemble and start again. Didn't notice on the diagram that the hinges have to be on the outside. 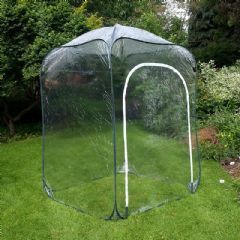 Great buy, this fits my needs didn't want a big green house it just fits nicely in a corner of my garden. 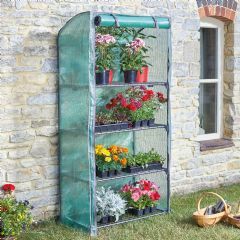 Easy.to put together, looks great in the garden perfect.